When David Andino first thought of a career in the theatre, there were plenty of shows he might have believed he was a good fit for. “Cinderella” wasn’t one of them. He would never be cast as a prince. Playing Cinderella was probably not going to happen. There is the old guy that puts the slipper on Cinderella. 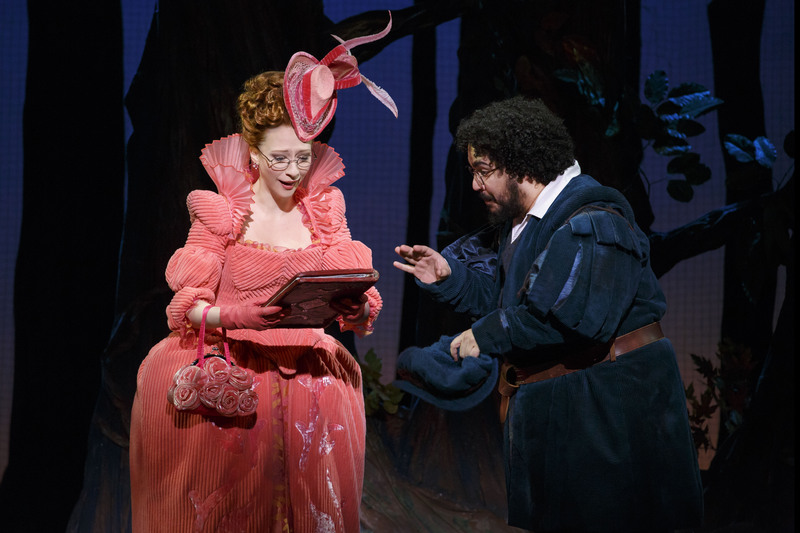 But no one really aspires for a career in New York to someday play the old guy that puts the slipper on Cinderella. So when theatre friends told Andino that a new production, which was revived on Broadway in 2013, might be an awesome fit, he was skeptical. Andino, along with the rest of the first national touring cast of the revival of Rodgers and Hammerstein’s “Cinderella” makes its way through the South Bay as part of Broadway San Jose’s 2014-2015 season. The show opens on Tuesday, March 3rd and runs through March 8th. This marks the only stop in the Bay Area for this tour. The self-deprecating Andino considers himself a traditional FFG – “The funny fat guy,” as he describes. He plays characters like sidekicks, clowns, that sort of thing. What Andino didn’t fully realize is that the new production was reinvented, a show that takes the best of the classic story and fuels it with more exposition, which brings in a whole new demographic to the show while keeping the magic that appeals to younger theatre folk. The role that got the 29-year-old actor into his national tour debut is a new character named Jean-Michel, a young revolutionary who befriends Ella, who gets the “Cinder” part thrown on her because of all the cinders that inhabit her clothing after endless fireplace sweeps. His character was specifically created for the revival, and despite the concern that these new arcs might alienate younger fans, that concern has proven to be a moot point. The fact that Andino has the opportunity to analyze audiences from the stage of a Broadway national tour is the latest surreal moment in an unconventional journey that has led him from the glitz of Las Vegas to the Big Apple. 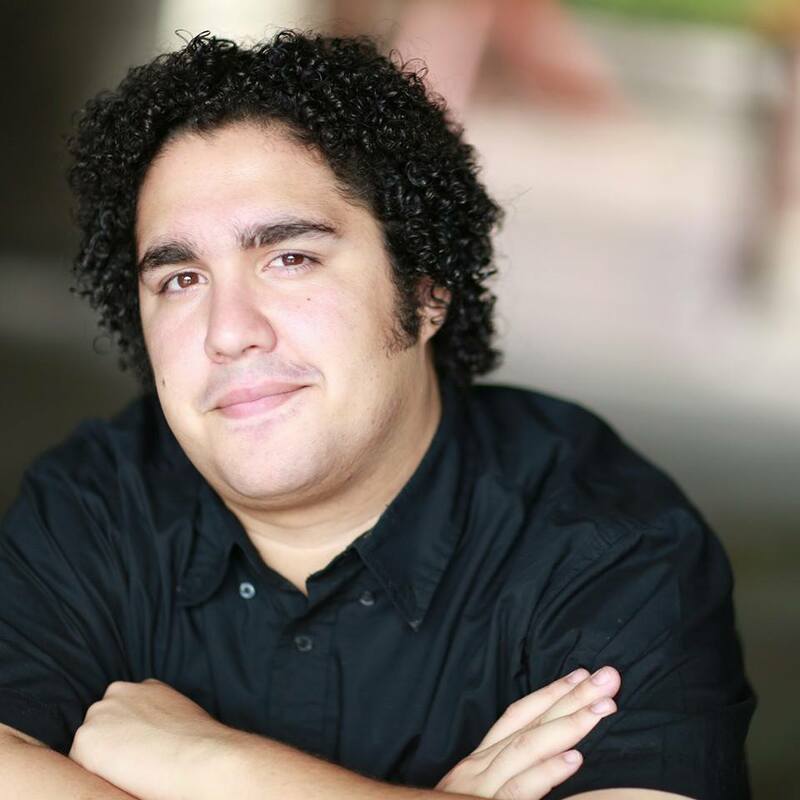 It was in high school where Andino found that a life in the theatre was a real possibility. After doing what he considers his first real training, as a high school student at the Las Vegas Academy of the Arts, he left Sin City for a small college in Lacrosse, Wisconsin. For many, leaving home for college is a right of passage. But for Andino, it was a quest that wasn’t rooted in a lot of personal history. “It was in high school where I realized I can do this for a living, yell and scream and laugh and not get in trouble for it,” said Andino. “College was not a big thing in my family, and for me, going to college was another thing that took me by surprise. After college, a stop for summer stock took place in Durango, Colorado. And once that was done, New York City was finally calling. For any actor, making that decision to embark on the ultimate theatre career move comes with huge risk. Yet his mother, whom he lost suddenly when he was only 17-years-old, gave him the advice he needed in his formative years. Where he is today is living the dream. A weeklong stop in the Bay Area, where he has never performed, is the latest stop in this amazing stretch he is on. San Jose for one week. Los Angeles for six. And then the return to where it all started – performing this show he loves in his hometown of Las Vegas. There is so much Andino loves about this current production of “Cinderella.” But what Andino loves most of all is the fact that Cinderella is, quite simply, a good story. In its simplest form, theatre tells a story. It’s a fact not lost on Andino, and something that fuels his duty and desire to serve as a storyteller.